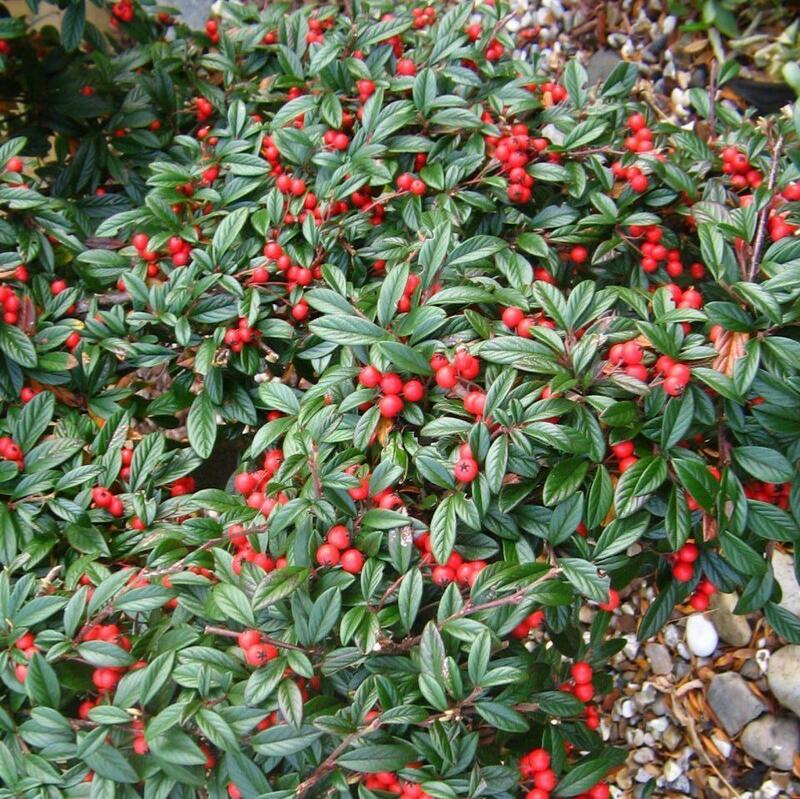 Cotoneaster ‘Gnom’or C. salicifolius ‘Gnom’ is an invaluable creeping evergreen for both ground-cover and the edges of borders or can be allowed to cascade over walls or trained to climb them. 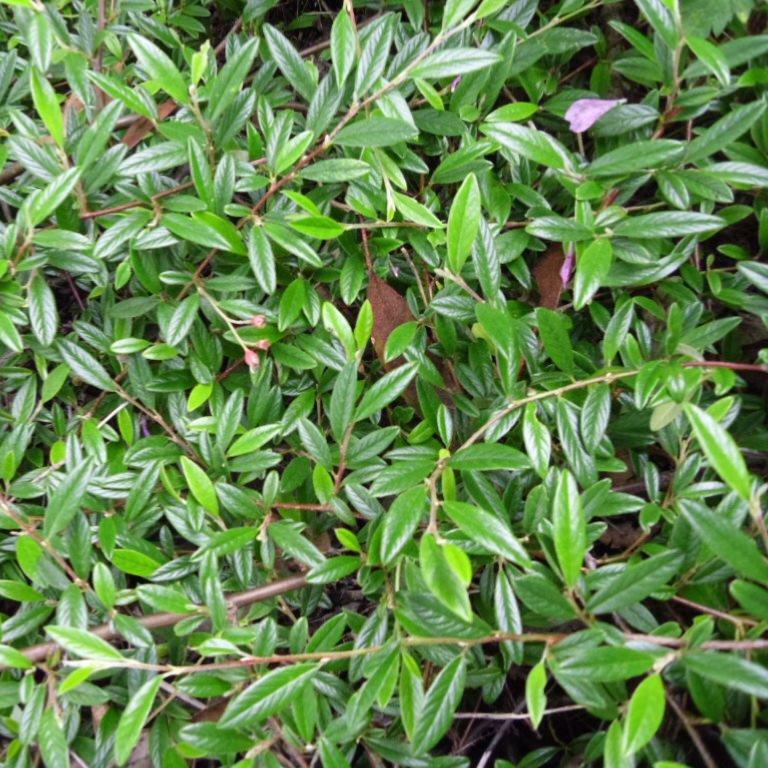 This variety is of spreading habit with deep glossy green leathery foliage and small white tinged pink flowers which are followed by heavy crops of small bright red fruits in autumn - often persisting through winter. 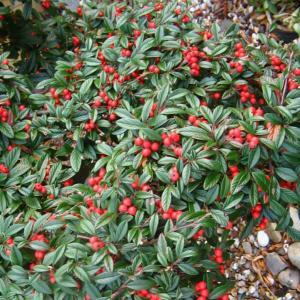 This Cotoneaster thrives in most soils and positions and is particularly good for dry poor soils in full sun. 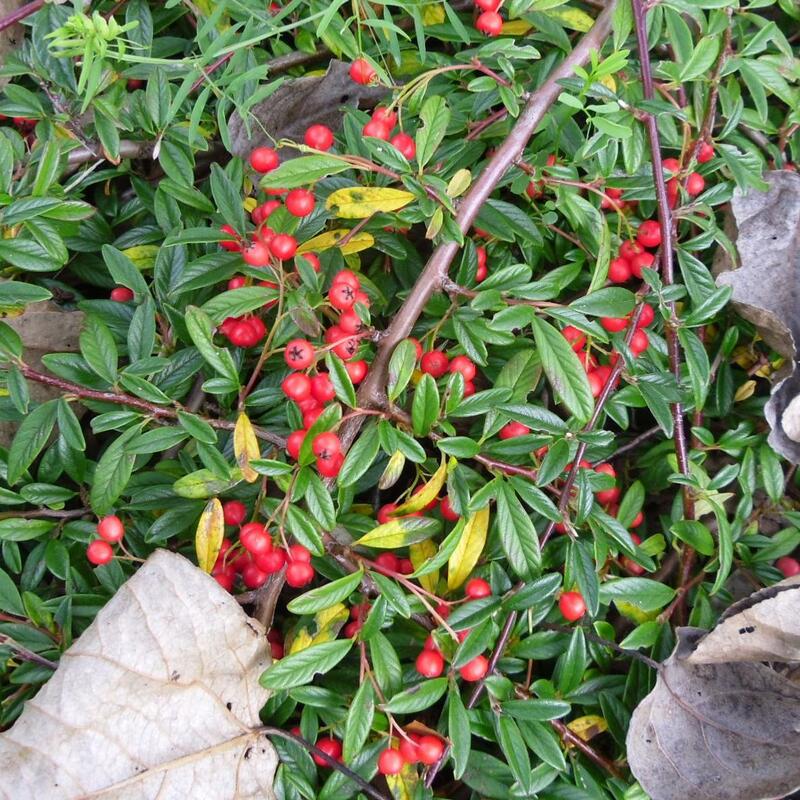 Cotoneaster ‘Gnom’ is distinguished by its long purplish shoots and its very narrow leaves which take on a purple red hue in winter. 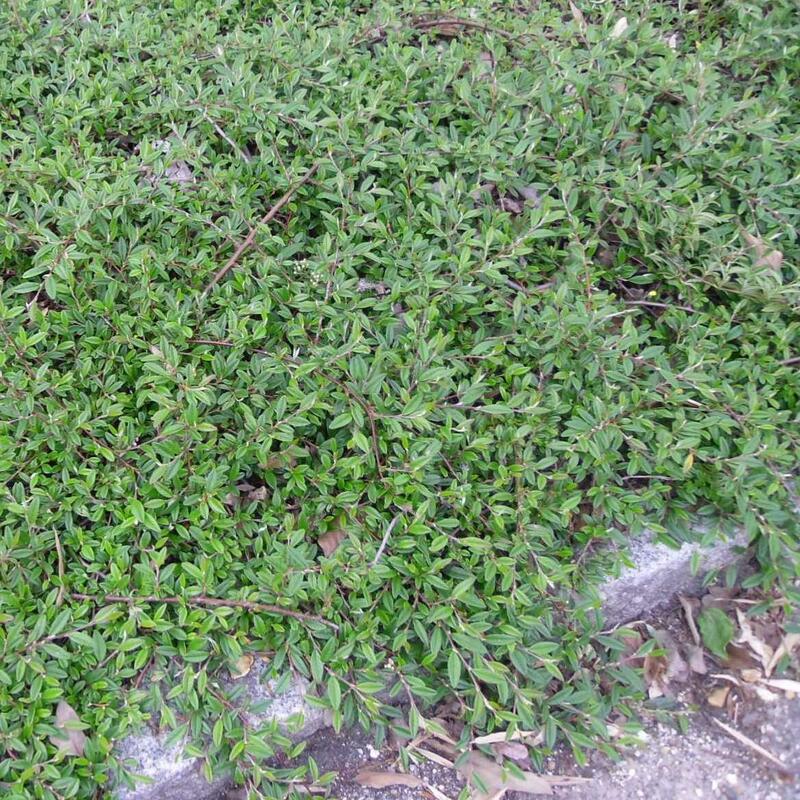 Graham Stuart Thomas found that it succeeded excellently when trained up a wall, and then fruits more freely.